IT finished with seven assists and dropped a game-high 28 points. Avery Bradley had a couple huge buckets in the fourth quarter and finished with 22 points to go along with a season-high 9 rebounds. Amir Johnson continues to be the Celtics most efficient big man. He had the only double-double of the game with 11 points and 11 rebounds. Kelly Olynyk had by far his best game since returning from his injury. His stat line consisted of 22 points on 7-12 shooting (4-6 from 3), 5 rebounds, and 2 steals. Evan Turner also had an efficient scoring night, shooting 7-11 on his way to 16 points. 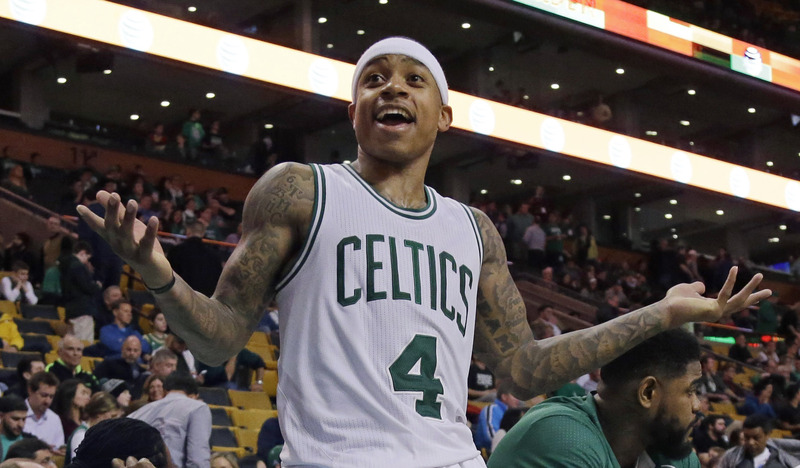 The Celtics have now won two in a row after previously losing five out of six. With the Hawks’ loss to the Wizards Monday night, they’re now tied with Atlanta for the four seed. This is only his 2nd year in league, he is going to be a top player in nba before his career is over.